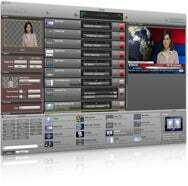 Boinx Software on Thursday announced the release of BoinxTV 1.3, the latest version of its live video production software. Version 1.3 adds a number of enhancements to the product, including an integrated configurable audio delay compensation to help adjust for the latency in different cameras and other equipment as well as settings to help create device sources automatically and image adjustment filters for basic color and gamma tweaks. The update also supports Veescope Key Softlyght, a chroma-key filter designed for studio lighting environments; the filter is available separately for $49. There are also bug fixes and other improvements included in version 1.3. In what its developer billed as the first significant update in more than a year, rooSwitch 1.5 debuted with a number of changes and bug fixes for the Mac OS X profile manager. Aimed at developers, beta testers, and network managers, rooSwitch creates and manages multiple profiles of any application. The $19 app can also backup application profiles and transfer them between machines and accounts. 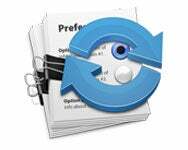 Realmac Software released RapidWeaver 4.2.3, a maintenance update for the Web publishing tool. The update includes fixes for linking to blog posts and assets as well as MobileMe publishing. Other fixes tackle theme and page preview issues, smart quotes in Ignore Formatting areas, and an issue with Japanese localization. The update includes refinements in memory usage, Realmac says.